Add 100 cards to the game, they can be found, bought or traded. upon completing a set, receive the corresponding album. Please let me know if you wish to use this mod or parts of it for you own mod. 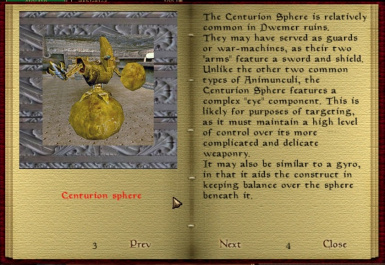 I take no credit for most the pictures as well as their description; it all comes from The Unofficial Elder Scrolls Pages, slightly edited to fit with my mod. For this particular mod, I owe Fliggerty a big thanks for his MW Workshop on Scripted spells. Thanks to Emma for allowing me to make the CoM addon and to Wolfhawk for suggestion making the addon. Also, thanks to those who made suggestions and reported bugs Fable2, x Starfire x, Povuholo, maura amalia, Danjb, Aeddan and Lightsouled. lot of stuff (By PikachunoTM). 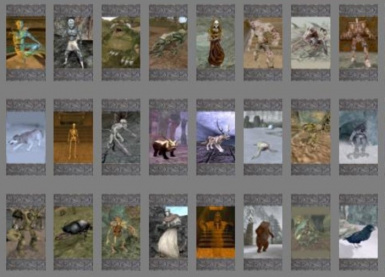 This mod adds more than 100 cards to collect, each of them representing various creatures found in Morrowind, Tribunal, and Bloodmoon. The cards can be found in various containers except for the rarest and unique ones. The rarest cards can only be traded: their current owners will let you know what they want in exchange for their card. You will need to ask around to find those cards collectors. 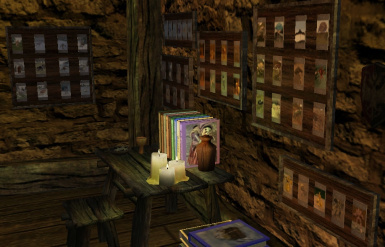 Other card collectors are scattered around, speak to Magnus Stylus in his tower by the fort in Gnisis for tips and a list of these card collectors. You may also buy packs of cards from traders; you will discover what card is in the pack after you open it. Rare cards can be found this way.Drop the pack on a table, activate it, discover your new card. You may gather your cards in albums. There are special containers in front of Magnus Stylus. You may also ask him to sort the cards for you. Once a set of cards is complete, you will receive the album for this set. The corresponding cards will be removed from their container and put on display. There are 14 albums to make (including the CoM album), and each of them will give you a special power (see spoiler section if you can’t wait to find out. You can buy Bestiaries from bookshops: they have the illustrations and descriptions of creatures but do not give any powers as the card albums do. Extract the content of the compressed file in your Data files folder. 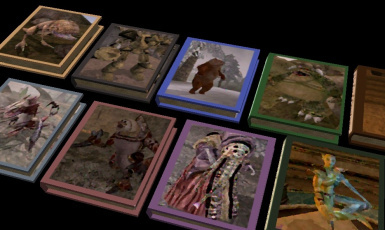 version 0.9a: New book textures, books for sale. version 1.0: dialogue fix, texture fix, script fix, new icons for all cards, a CoM esp. version 1.2: adds 2 new optional patches to choose from: one that completely removes the spells/powers/abilities you get when receiving an album and removes the guides you could buy from booksellers, and the other that seriously reduces the said bonus. Version 1.42: fixes many grammatical mistakes, and optimizes all unoptimized textures. Drastically reduces archive size by optimizing a lot of stuff (By PikachunoTM).